Every few months I find myself obsessing over a new area of make-up. Currently it’s highlighting and contouring. It has taken me YEARS and I mean years to perfect my highlight and contour routine but I feel I finally have it where I want it so now I can focus on the right products to sculpt my face. I love the LA Girl Pro Conceal Concealers but sometimes it doesn’t hurt to try something new, especially when it’s relatively affordable. 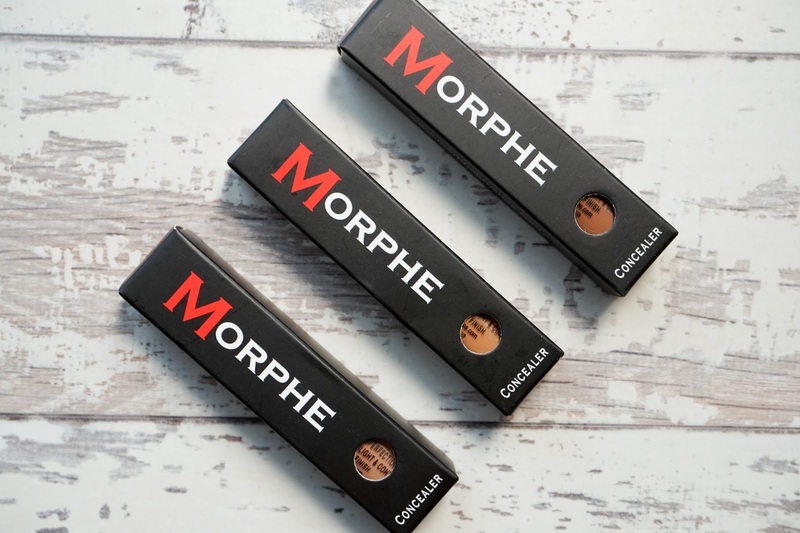 The new Morphe Brushes Concealers | £4.95 each from first impressions seem to be nothing special. Plain packaging, no claims of HD slotted into the name a thousand times, with only 10 shades, but when I see an affordable product, especially a concealer I have to try it out. I ordered the shades Toast, Frappe and Toffee Nut from Beauty Chamber. 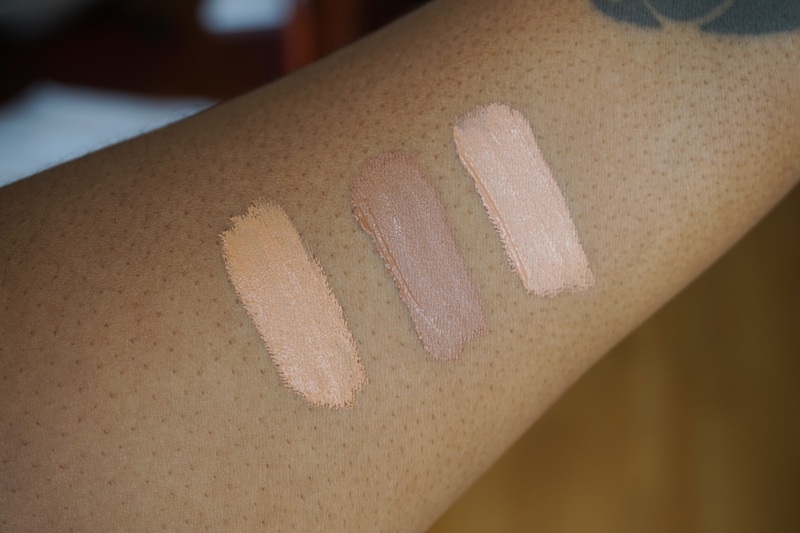 I decided not to pick up the deepest shade in the collection which was Fudge as I am very specific about what products I use for cream contour plus I do not think Fudge is necessarily deep enough for a majority of dark/deep skin tones. Upon first look you can see the main selling point of these concealers are the visible undertones which I like. 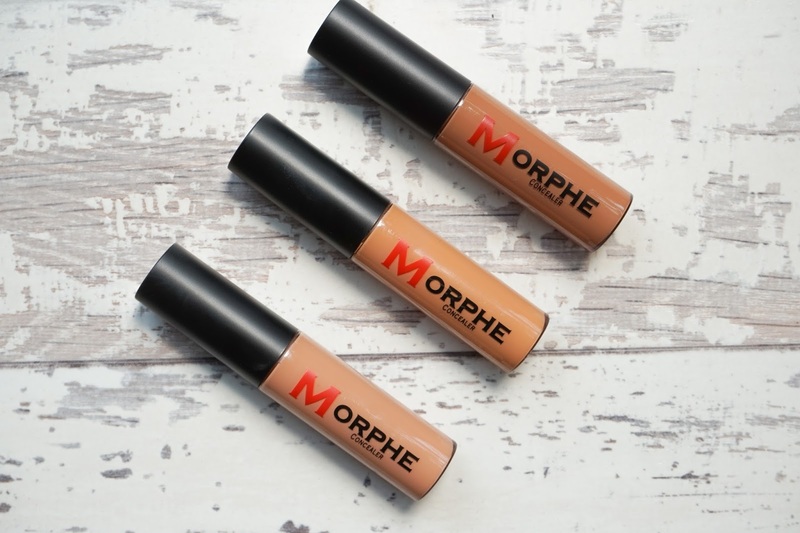 This makes these concealers perfect for correcting as well as concealing. Toast has a slight pink/salmon undertone which works well on my skin to help brighten. Frappe works well at concealing my dark areas such as my under eye and my eye lid, this has more of a yellow undertone. 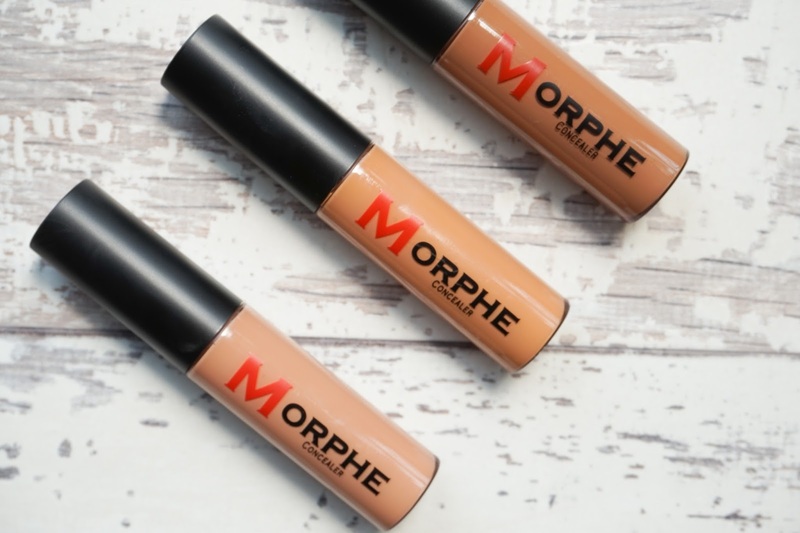 Lastly Toffee Nut, which leans to the more neutral side, looks like it could be good for subtle contouring however I am yet to use it, when I do, I’ll let you know how it works best for me. Consistency wise, these are very very creamy and kinda thick, not uncomfortably thick but still thick nonetheless. These concealers also have an instant demi matte finish so it is definitely one to avoid if you’re looking for the more natural/dewy look. In terms of comparison I would say the Morphe concealers are a mix of the NARS Radiant Creamy Concealer and the LA Girl Pro Conceal. They have the finish of the NARS concealer with the consistency (maybe even a little thicker) of the LA Girl Pro. I’m going to have to give these concealers a bit more of a trial as I’ve only used two of them once, but so far I am liking them. These concealers offer the coverage I need without being too heavy (and too expensive) but I will test out for longevity and creasing and I’ll get back to you guys with more info! UPDATE: Toffee Nut wasn’t as deep as I thought it was, it matches my complexion when applied to my face. I use this to conceal any dark patches or areas on my face. It blends out a dream but it still retains a full coverage finish. I LOVE it!! Longevity wise, these concealers are IMPRESSIVE lasting up to 5/6 hours when set with a powder, creasing is non existent for me but I think this depends on each individual. I very rarely experience creasing and if I do it is mostly down to my setting powder and not my concealer.